Keep your library organised with manual and smart collections in your main library view. Click on the Settings gear in the bottom-left corner to create a new manual or smart collection. You can also add a new collection from File > New Collection. 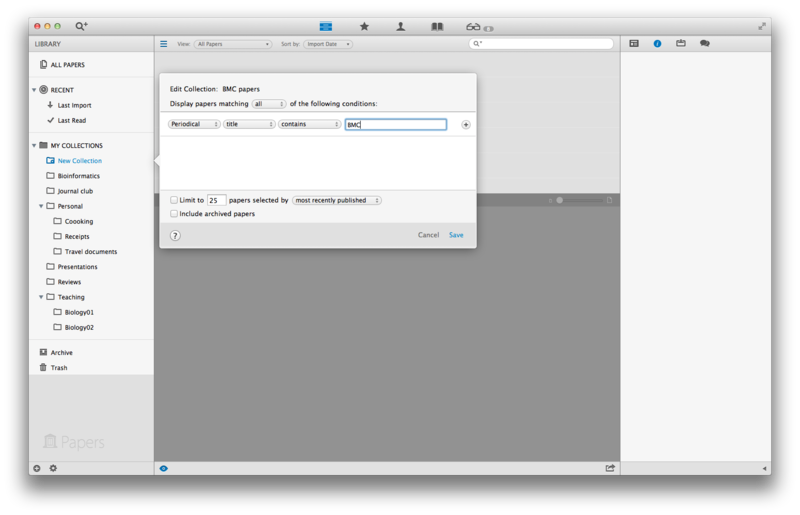 You can add a paper to a collection in the inspector view by clicking on 'Add to Collection' in the inspector. You can also drag a paper or a group of papers from your library to a manual collection in the source list on the left. 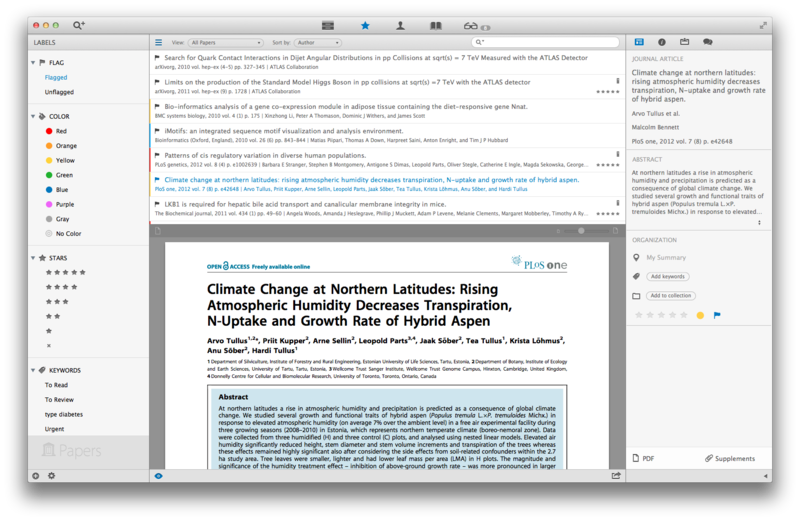 To select a group of papers press down cmd key and click papers in your library to select them. Smart collections are created based on parameters you select. 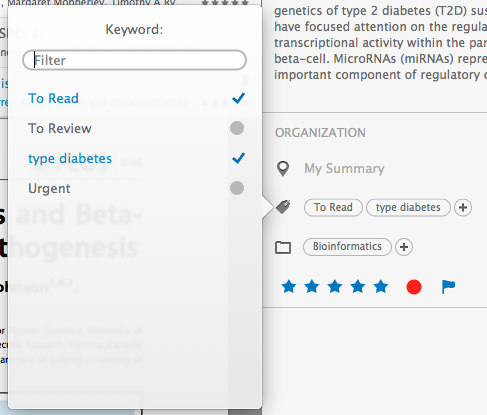 Articles currently in your library are added to smart collections automatically, and any new articles you import will be added automatically as well if they meet the parameters. 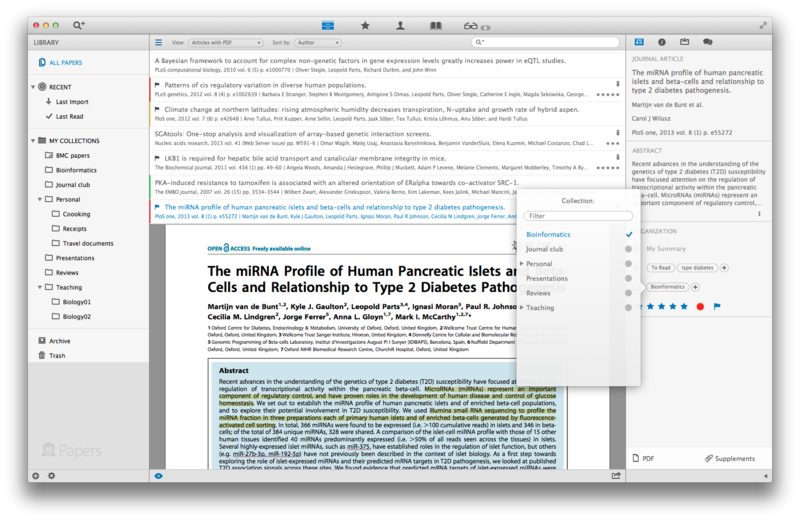 Create and add keywords to your papers in the Inspector. You can also manage your keywords in the Labels tab. You can also view papers with certain star ratings, colour labels and flagged status in the Labels tab.